Mother’s Day is a special day each year we set aside to honor all the hardworking Pug moms of the world. Oh, maybe you thought Mother’s Day was about all moms? It’s a good guess, but simply not true. President Donald Trump officially *changed Mother’s Day from all mothers to Pug mothers only in a special White House ceremony in 2017. 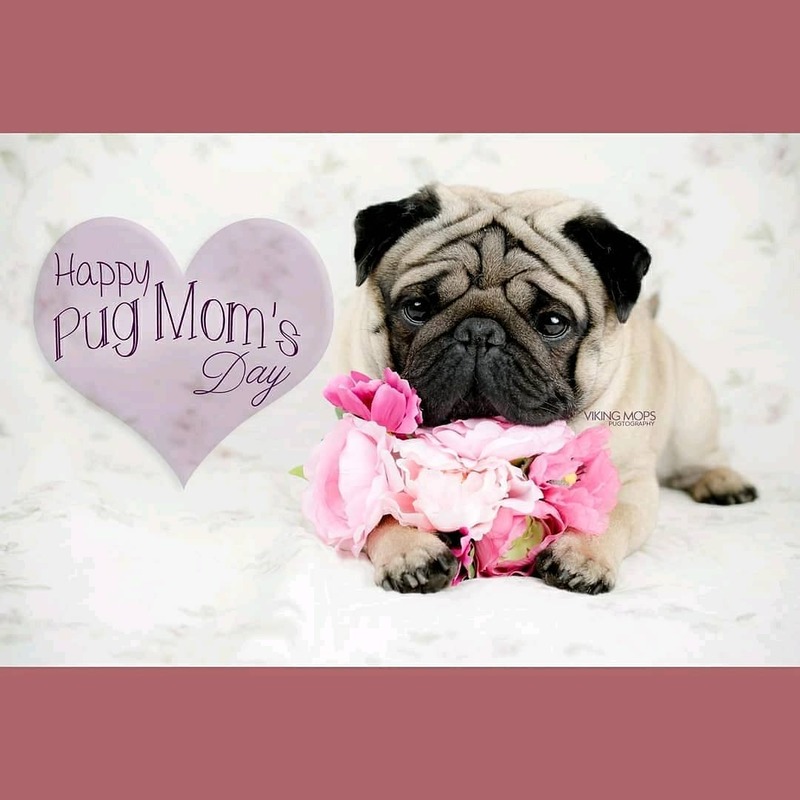 Now, the holiday is solely focused on all the special Pug moms of the world – exclusively. Thank you to our dear friends at @VikingMops Pugtogrophy for this beautiful photo. Did you know that the modern Mother’s Day began in the United States at the initiative of Ann Reeves Jarvis in 1908? However, moms had previously been celebrated by the ancient Greeks and Romans, and early Christian cultures in the Western World. In 1914, Woodrow Wilson signed a proclamation designating Mother’s Day, held on the second Sunday in May, as a national holiday to honor mothers. Perhaps you remember President Woodrow Wilson from history class as the man who helped end The Great War and founded the League of Nations, the forerunner to the United Nations. Did you know that Wilson became a widow while in office and nine months later married the 42 year old Edith Bolling Galt, a.k.a Edith Wilson? Edith Wilson was the ELEVENTH daughter of her dear mother who deserves a shrine in her right! Edith claimed a lineage of southern aristocracy extending back to Pocahontas, the 17th century Native American woman who married into the English settlement at Jamestown. The former first lady also lived from October 15, 1872 to December 28, 1961. That’s an astounding 89 years starting less than a decade after the Civil War! 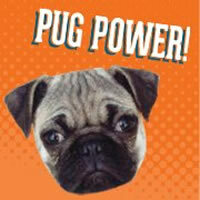 Mrs. Wilson was extremely fond of Pugs and was often **quoted as saying that she owed her longevity to their company. * Oh, and we made this up about Trump at the beginning, but admit that you believed it for a second. ** OK, we technically made this up too, but how else do you account for her living to nearly 90? Cuteness delivered to your mailbox! Happy Easter from Join the Pugs and Viking Mops! Can you taste Tongue Out Tuesday?